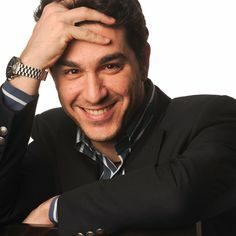 Born in Venice, Italy, Marco Comin is one of the most exciting conductors of the new generation. His interests and preferences range from baroque music to the great repertoire of the 19th and 20th centuries. At home, both in the concert and in the opera repertoire, he is able to inspire with gripping, emotional and highly sensitive interpretations at the same time. From 2012/2013 to 2016/17 Marco Comin was chief conductor of the Staatstheater am Gärtnerplatz in Munich. Here he was celebrated by audiences and press for his interpretations of Honegger's Jeanne d'Arc au Bûcher, Handel's Semele, Mozart's The Abduction from the Seraglio, Tchaikovsky's Iolanta, Verdi's Aida, Britten's Peter Grimes, Richard Strauss ballet production Schlagobers and the UA by Friedrich Cerha's Uncle President and conducted very successful baroque concert series. Marco Comin recently had great success in Munich with Bellini's La sonnambula, which, like the majority of the productions conducted in Munich, was awarded the Rose by tz München and the star of the Munich Abendzeitung. He had just as great success with his farewell production of Mozart´s Don Giovanni. A series of performances by Tosca took him to the Hungarian State Opera in Budapest in 2013, where he again performed with Carmen, Otello and Pagliacci / Cavalleria Rusticana. Also in 2014/15 Marco Comin made his debut with Verdi's Luisa Miller at the Stuttgart State Opera, where he returned for Nabucco in 2016/17 and was back in 2017/18 for Britten's Death in Venice and the NP Don Pasquale. In addition, he was very successful at the Graz Opera with The Abduction from the Seraglio and with the NP La Rondine and the NP Le Nozze di Figaro, with Le Nozze di Figaro he also made his debut at the Komische Oper Berlin. In 2018/2019 he will give his debut at the Theater Bremen with an NP of Verdi's Un ballo in maschera and will make his debut with Verdi's Luisa Miller at the Aalto Theater Essen. He also returns to the Hungarian State Opera Budapest for Cavalleria Rusticana / I Pagliacci and Mascagni´s Messa di Gloria. In his hometown Marco Comin studied piano and composition at the Conservatorio di Musica "Benedetto Marcello" as well as history at the Università Ca 'Foscari. Immediately after completing his conducting studies at the Hanns Eisler School of Music in Berlin, Marco Comin was hired as the second Kapellmeister at the Deutsches Nationaltheater in Weimar, where from the beginning he conducted major operas such as Nabucco, Tosca, Guillaume Tell and Aribert Reimann's Melusine. In 2008 Marco Comin became the first Kapellmeister and Deputy General Music Director at the Staatstheater Kassel. There he had great successes f.e. with Mozart's Don Giovanni, Donizetti's Lucia di Lammermoor, Gounod's Faust, Verdi's Otello, Puccini's La Bohéme, Britten's A Midsummer Night's Dream and many symphonic concerts. As guest conductor Marco Comin worked on the concert podium with the Münchner Philharmoniker, the Nordwest Deutsche Kammerphilharmonie, the Philharmonie Essen, the Mecklenburgische Staatskapelle and the Jenaer Philharmonie and with prominent soloists like the pianist Ragna Schirmer, and the star tenor Klaus-Florian Vogt. In 2014 he was invited to a concert tour with the orchestra of the Staatstheater am Gärtnerplatz in Mexico.